PYO $100 Bill Winners Week 4! For a month now, we’ve been stuffing Pick-Your-Own bags with $100 bills to celebrate our 100th Anniversary. 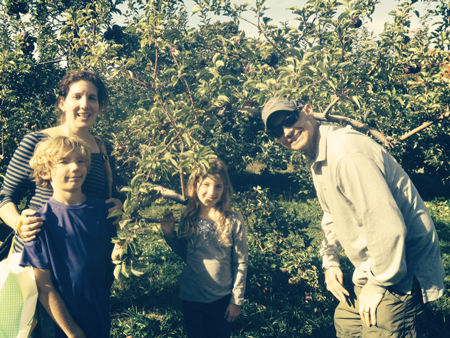 Christine Keenan from Stoughton, MA, found a $100 bill, and had her whole family with her to celebrate! 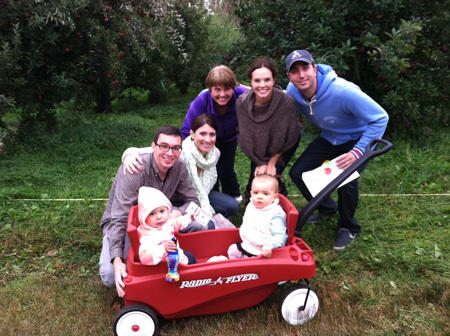 This family from Connecticut and New Hampshire needed a wagon—and two little helpers—to cart away their winnings. 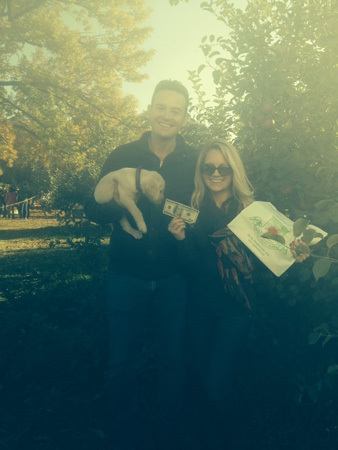 Matt Marra and Briah Boggs scored a happy hundred, and extra cuteness points for their adorable puppy! 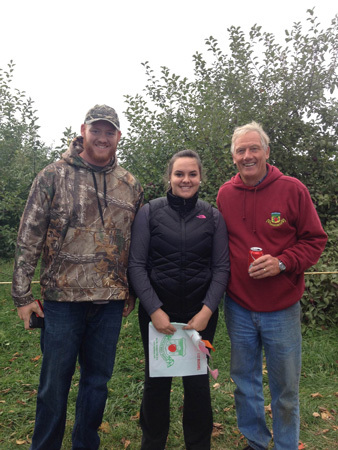 Jen and Jim from Newburyport and Epping were lucky winners, and Farmer Pete joined them for a photo in the orchard! 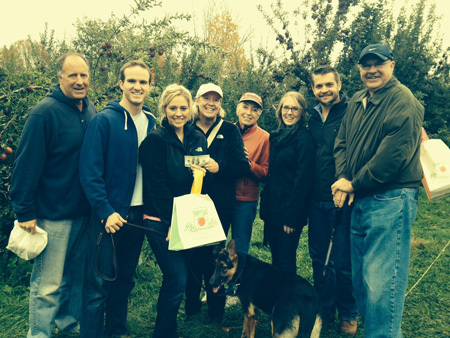 Congrats also to the Braunfields from Westwood, MA—don’t spend it all in once place! Two more weekends of Fall Harvest Festivals still to go—check out our Festivals & Happenings page to see what’s coming up this weekend, and join in the fun!